This is where it's currently at! It's nice to finally see her face appear. The confetti in this section is driving me crazy! Once I'm through this part 1/3 of the pattern will be complete. 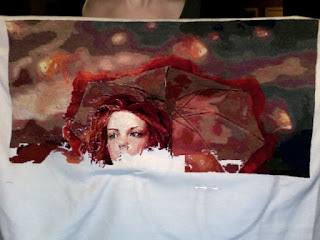 Here is my current focus piece: Umbrella Sky by Marta Dahlig. The picture was taken on my webcam which reverses/flips the image. So don't panic she is backwards! You are not backwards! 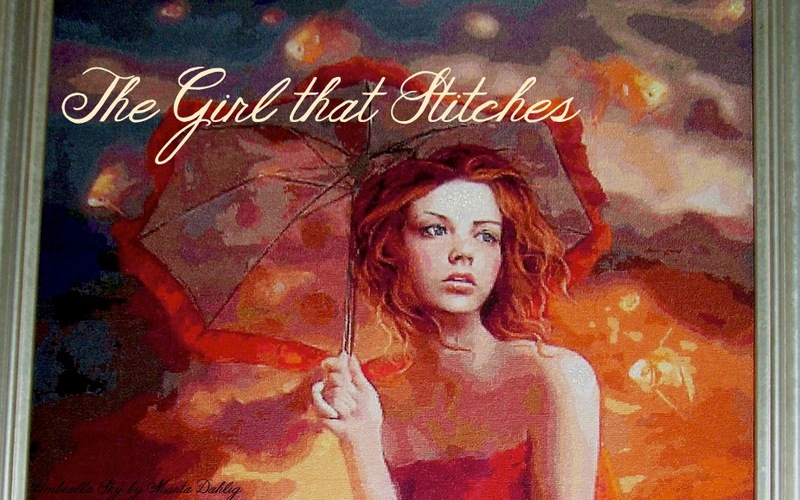 I'm not stitching backwards! Need to invest in a proper camera at some point. Will take a better picture next time I'm at my folks house.